When Cash was three, bone cancer forced the amputation of his right lower leg. 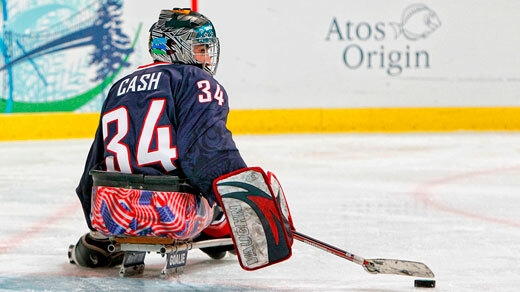 He played roller hockey on a prosthetic as a kid, then took up sled hockey in 2005. He was on the 2006 U.S. team in Turin and was the goalie on the 2010 gold medal team in Vancouver. If Team USA repeats, it will be in front of a much larger audience: For the first time NBC will show extensive live coverage of the Paralympics.